I am working on sharepoint online team site collection. 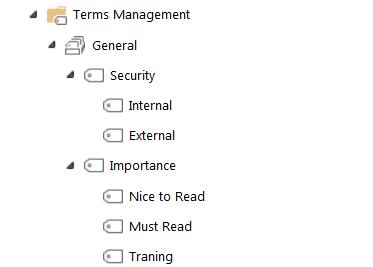 and we are planning to add Keywords management for all our document libraries using Term Sets and Managed Metadata site columns. 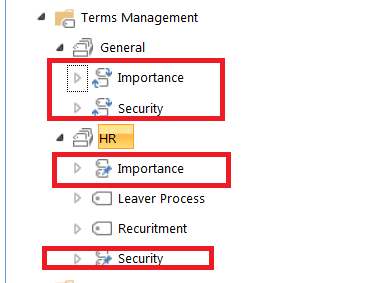 second point, i chose Pin instead of Reuse, so that adding/removing terms inside the general term set will get reflected inside the departments term sets automatically + modifying the general term set's terms (such as deleting or renaming terms) can only be done from the general term set and not from the department term sets. now since i am going to implement this across all our site collections, so can anyone advice if my above appraoch (creating multiple term sets + using Pin Term option) is valid and is a recommended approach? and if there is a better appraoch to manage my term sets and terms? Any advice will be highly appreciated. 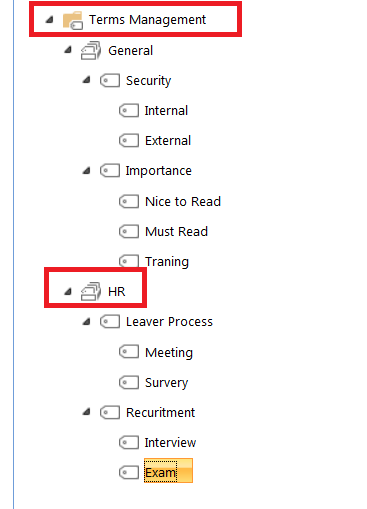 Browse other questions tagged sharepoint-online managed-metadata term-store term-set or ask your own question. Automatically importing values into pre-existing term sets from AD?